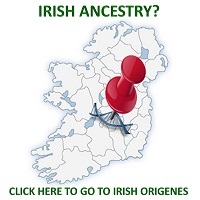 A commercial 37 marker Y chromosome DNA test will potentially provide one with the names of many hundreds of individuals with whom one shares a common male ancestor, but what often perplexes people is how one can match many individuals with different Surnames? The answer is quite simple. Roughly 1,000 years ago one’s direct medieval male ancestor, the first for example to call himself ‘Bennett’ was living in close proximity to others with whom he was related but who assumed other surnames like Seymour, Coad and French. Given that 1,000 years have passed since surnames were adopted, there will be many descendants of these individuals some of whom today will undergo DNA testing. 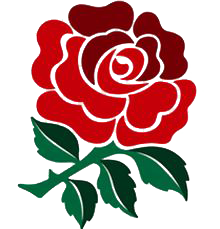 Hence the surnames of one’s medieval ancestor’s neighbours will be reflected in today’s DNA test results. 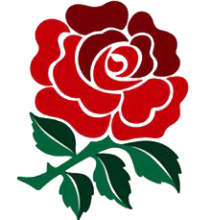 In early 19th Century UK census data surnames could still be found concentrated in the County from which they originate. Hence when one examines the distribution pattern of the surnames that reappear as a genetic match to you, one can pinpoint the place of origin of one’s ancestors, what I like to call the Paternal Ancestral Genetic Homeland. 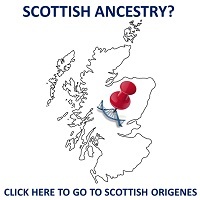 The Genetic Homeland is the area where one’s ancestors lived for hundreds if not thousands of years. It is the area where one’s ancestors left their mark in the place names of that area and in the DNA of its current inhabitants. Since modern science can pinpoint a Genetic Homeland it can also be used to confirm it by DNA testing individuals from the pinpointed area. 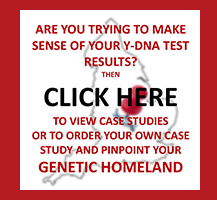 To view a short You Tube video tutorial demonstrating how to make sense of your own DNA results click here, or you can read a Case Study! Not had a DNA test? Then click on the 'Are You A Warrior' banner on this webpage (top right) and select the Y-DNA37 test. If you have had a Y-DNA test then contact me (Dr Tyrone Bowes) by clicking here. The Consultation is FREE.